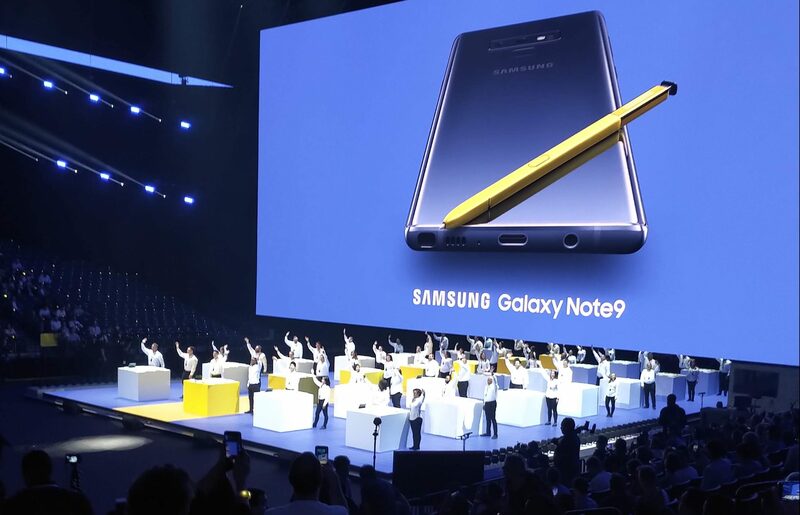 NEW YORK CITY — Samsung Electronics Ltd. wasted no time in showing off its new Galaxy Note 9 smartphone at its annual Unpacked event on Thursday, but also surprised the crowd with announcements about a new line of smart watches and a new smart speaker device. Samsung is releasing its Galaxy Note 9 earlier than its usual fall release. Pre-orders begin on Friday and the device ships Aug. 24. In Canada, the 128 GB model will be available for $1,299.99, and carriers will offer pre-order of the phone starting at 11:30 AM ET on Aug. 9. Consumers that order before Aug. 23 will also receive a Gear IconX with the smartphone. The premium price is no surprise here, as the Galaxy Note has been Samsung’s flagship smartphone for years now and it’s looking to lead the market in terms of premium smartphones. The Note 9 is getting some incremental spec upgrades over the previous model, but Samsung is focused on a few of the most compelling features. The theme can be summed up as “bigger is better.” First up is the 4,000 mAH battery, which is the largest you can find on a smartphone. Samsung also offers an app to help optimize battery performance if that huge chunk of lithium isn’t enough for you. Samsung is also giving its customers more onboard storage, with a minimum of 128 GB on board and a 512 GB version (which in Canada will retail for $1,629.99) also available. There’s also a microSD card slot for expandable memory, meaning you could have as much as 1 TB in total on this device. The S Pen is the stylus that makes the Note stand apart from the Galaxy S series. This year, the S Pen is getting Bluetooth connectivity, so you can trigger actions on the phone with it. The onstage demo, of course, focused on taking selfies with the S Pen button, but then it was revealed the slide deck presentation was being controlled using the S Pen in a nice reveal that elicited some applause. Business users may also appreciate the integrated Dex support on the Galaxy Note 9. With a HDMI monitor dongle, the smartphone can connect to an external display and offer a desktop user experience. The phone can still be used as normal while this mode is active. Previously Samsung offered Dex as an accessory, but now with the Note 9 and its latest tablet, it has found a way to include the offering right on the devices. Lastly, Samsung is joining the parade of smartphone manufacturers that are adding AI to their cameras. Its new intelligent camera features can warn you if the lens is smudged, or if someone blinked when you clicked the shutter. A scene optimization feature also helps users by tweaking camera settings to be optimal. While it was undoubtedly the most high-profile, the Note 9 wasn’t the only device Samsung revealed on Thursday. Samsung is retiring its Galaxy Gear line of watches and has a totally new smart watch simply called the Galaxy Watch. 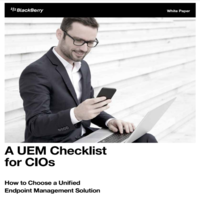 This device offers Bluetooth and LTE connectivity, so it is able to work in tandem with a smartphone or as its own communications tool. Samsung says that it’s optimized the processor so that a single charge can power this Android Wear device for days at a time. It also comes in two different sizes: a 46 mm version or a 42 mm version. The larger version has a 472 mAh battery and the smaller one a 270 mAh battery. Samsung says the watch is compatible with Android 5.0 devices and above, as well as iOS 9.0 and above in the Apple family. The face design imitated an analog watch with clock hands. Widgets can display information such as step count, weather, or notifications. Samsung’s focus is on helping its customers with their wellness. A heart rate meter can track beats per minute, and then guide a user through a heart-fluttering moment with a breathing exercise. There’s also exercise tracking and sleep tracking, similar to what you’ll see with other fitness-oriented wearables. One productivity-boosting watch face shown at Unpacked integrated directly with a user’s calendar. The busy hours were highlighted with coloured bands on the outside of the watch face, allowing for a really easy way to check your schedule. There’s no pricing or availability information yet for the Galaxy Watch. 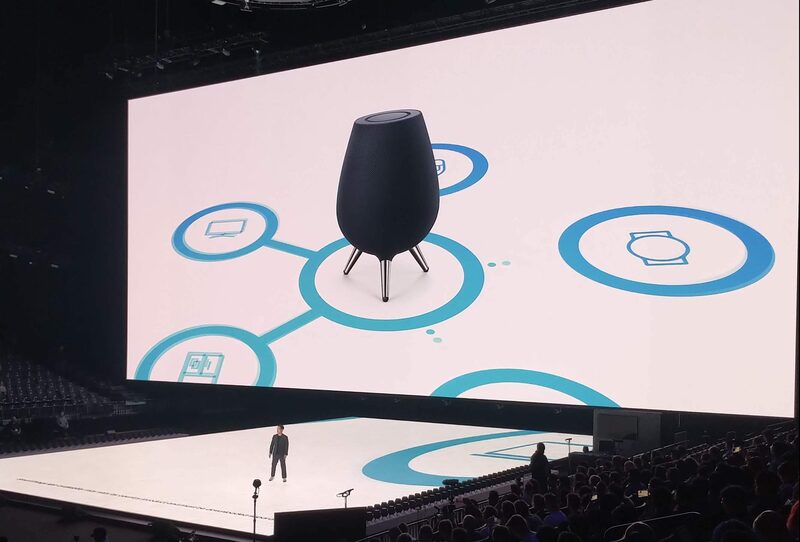 Finally, Samsung is looking to compete in the smart speaker market, and will take on the likes of Amazon Alexa, Google Home, and Apple HomePod with its own Bixby assistant integrated into the Galaxy Home. The smart speaker has a sort of alien spaceship lander appearance, like a turnip with its top lopped off sitting on a tripod. Around the body there’s a textured, weave-like covering, and the top offers controls to play or pause, next track, or previous track buttons. Samsung didn’t talk or show off very many features with its newly announced device. What it did show focused on a premium music experience. A partnership with Harman AKG means the device can steer audio towards the person speaking to request the music. The Galaxy Home will have eight onboard microphones. A demo with Spotify, which Samsung said is a partner, highlighted how music can be passed from a Galaxy phone, to a Samsung TV, to a Galaxy Home with the press of a button without interrupting the music. In one odd moment at Unpacked, Samsung staff quickly mobilized and began taking away the Galaxy Home devices in the media demo area. When media asked for more time to capture footage and images of the devices, staff just apologized and hurried the devices backstage. The devices had a glowing ring of light and the Harman AKG logo lit up, but they didn’t do anything. Perhaps the team felt that because the units weren’t functioning, they shouldn’t be in the hands of media. There’s no pricing or release date information for the Galaxy Home at present.